Vaccine injuries can be complicated and confusing, and these claims are handled in a U.S. claims court. It can be difficult to know where to begin to find the information you need to understand your rights and your case. Here, the experienced attorneys at Shannon Law Group, P.C., share their thoughts on some of the most frequently asked questions about vaccine injuries. Don’t see your question? Reach out to us to learn more today! What Can I Do If My Child Has Suffered A Vaccine Injury? Few parenting issues have gained as much attention in recent years as vaccines. 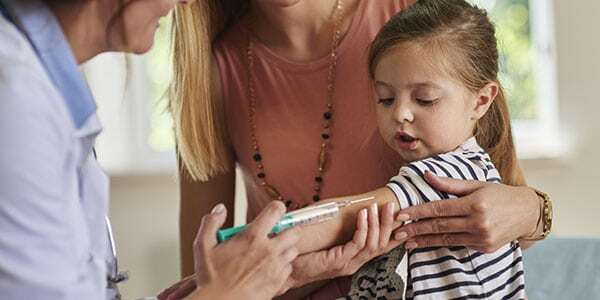 While doctors and the U.S. Centers for Disease Control and Prevention (CDC) continue to recommend these injections, many parents have serious concerns about the safety of vaccines for their children. Though negative side effects are rare, they do occur, and they can cause lasting effects on a family. If you’ve made the difficult decision to vaccinate your child and she has experienced a vaccine injury, you do have recourse. Through the National Vaccine Injury Compensation Program (VICP), parents can file a claim to obtain compensation to help their child. In fact, the program was started after concerns that the common childhood diphtheria, tetanus, pertussis (DTaP) vaccine was causing significant injuries to kids. Amid those news reports about possible dangers of DTaP vaccines, the federal government offered a set of mandates regarding all childhood immunizations. In part, it commits the government agencies involved with vaccines to continually improve the safety of childhood vaccines and to enhance the reporting of adverse events, as well as the recall of any lots that may be unsafe. Additionally, it acted as the impetus for the VICP. These give parents options when a child is injured by a vaccine. Seek medical treatment. Call your doctor to discuss any reactions or development of illness as soon as possible. Earlier treatment can lead to better outcomes. Also, documentation of medical treatment is necessary to pursue a claim. File a report with the Vaccine Adverse Event Reporting System (VAERS). This is the national database for negative reactions to vaccines. While it is not an entirely comprehensive view of vaccine injury, it is a useful tool in understanding these events. Call a vaccine injury lawyer to make a VICP claim. While the VICP states that legal representation is not mandatory, seeking compensation is a legal process, and the outcome can have a significant impact on your child’s future. Recently, a Stanford researcher investigating the system noted that victims “need counsel—and often highly specialized legal help—to have any chance at successfully resolving their claims.” Through the VICP, it is possible to obtain compensation for medical bills, rehabilitation, pain and suffering, and more. Your child’s health is important. When your careful efforts to protect them are met with serious and long-lasting negative consequences, you can take action. Call the vaccine injury lawyers at Shannon Law Group, P.C., to learn more about your options. What Is The National Vaccine Injury Compensation Program, And How Does It Work? Vaccines in some form have existed for hundreds of years. Over time, many people have avoided serious and debilitating disease by taking advantage of the immunity a vaccine can provide. As technology advanced and more and more vaccines were introduced to the public, however, concerns also began to grow about the safety of these immunizations. In the 1980s, those concerns prompted some parents of children who had suffered injuries after a vaccination to file lawsuits against medical providers and vaccine makers. This caused the slowing of vaccine production, and new worries about vaccine shortages plagued the government. In response, the National Vaccine Injury Compensation Program (VICP) was created to protect those who suffer injuries while still encouraging the production and wide use of vaccines. To ensure the continued production and adequate supply of vaccines. To maintain an effective means for those injured by vaccines to obtain compensation. This compensation is meant to provide medical care, replace lost wages, atone for pain and suffering, and more. The program is jointly managed by the U.S. Department of Health and Human Services (HHS), Department of Justice (DOJ), and Court of Federal Claims, with the court deciding who is eligible to receive compensation. Victims are paid from a special fund to the government, which is garnered by an excise tax on each vaccine. To obtain this compensation, victims must file a legal petition with the Court of Federal Claims. This petition, accompanied by pertinent medical records, other evidence, and a $400 filing fee is sent to the court to begin the process. The VICP handbook notes that while a lawyer is not required, this process is a legal endeavor. Additionally, when “certain minimal requirements” are met, the VICP does pay attorney fees and other legal costs on behalf of the victim. After the petition is filed, it is reviewed by both HHS and DOJ. The DOJ develops a report, which is then sent to a special master. Often, a hearing is held before the special master, who then decides whether or not compensation is warranted. If the claim is denied, it is possible to make an appeal. It is possible to receive compensation for a vaccine or injury not listed on the table, though the victim and his attorney do bear a large burden of proof that the vaccine is responsible for the injury. Since the program began in 1988, over $3.5 billion has been paid to victims to help ease their burdens and promote as full a recovery as possible. If you or someone you love as suffered a vaccine injury, you may be eligible for compensation. Call the experienced injury attorneys at Shannon Law Group, P.C. Our dedicated legal team can answer your questions and schedule a free, no-obligation consultation.